Are all search engines equally good? These days when the websites all over the world have increased so much in number, not concentrating on Search Engine Optimization in web promotion can prove to be quite detrimental for any online business. Without Search Engine Optimization, nobody ever comes to know that your website exists. When your website does not feature on any of the search engine rankings, how can some one know about the products sold or the cause supported by your site? So, after realizing the importance of Search Engine Optimization, if you have decided to explore it further, you can be helped in doing it. Now, there is such a large number of search engines that exist, how to know which ones will bring a high amount of traffic. You are aware about Google, yahoo, AOL and MSN. You might have also heard of Dogpile, Inktomi and Hotbot. Even other prominent ones like Netscape, Jeeves, LookSmart, InfoSpace, EarthLink, Mamma.com, Lycos, Teoma, WiseNut, Web-Crawler. You might have tried some of these search engines, but the traffic that you were guaranteed on the website wasnâ€™t there. 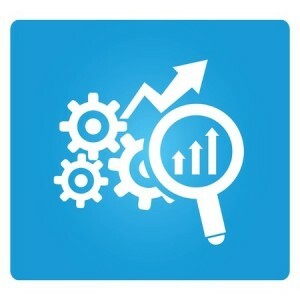 A large percentage of the primary search engines provide more to the user than look out for the keyword typed by them. They also include extra features like mapping, email, news and several entertainment applications. These facilities were included in a search engine to attract more people towards its services. These factors can be applied effectively for Search Engine Optimization of a page and making changes in it. These factors can also be included in a web page when it is prepared. A peculiar fact about Americans is that more than 50% of them search for products through keywords. They also look out on the internet for contact information about local businesses than in yellow pages. This is why your website should include the keywords used by a person in searching for a product of his need. These keywords only become known to you through Search Engine Optimization. Other category of search engines is the one catering to a specific kind of a search topic like medicine. These search engines are known by the name of Targeted search engines or topical search engine. Prominent examples of such search engines are Yahoo! Travel, Music Search and CitySearch. The ranking paradigms used by these search engines differ from one to another. If you are thinking about using such search engines for Search Engine Optimization, remember the fact that the focus of these search engines is low than primary search engines. Try to find a search engine that caters to the topic of your website like sports, pets and location. After finding such a search engine, prepare a website that includes all the metatags, graphics and content including the keywords pertaining to ranking criteria of such search engines. The use of keywords should be quite expansive on the website as long as it correlates with the website and the topic of the site. The reciprocal links from other related websites is a sure-shot of garnering high traffic if the links are pertinent.